When I was in my teens and early twenties, makeup was about the only thing I put on my face. Whether it was covering up a pimple with my mom's department store foundation, or creating the perfect smokey eye for a night out dancing with friends, I thought more about jet black eyeliner than moisturizer — let alone developing a longterm skin routine. If my makeup looked good, I looked good. Period. These days, I'm all about keeping my skin looking younger and healthier. That's why I went to the experts to get their advice on what we should all be doing (and avoiding!) on our journey to more beautiful skin. 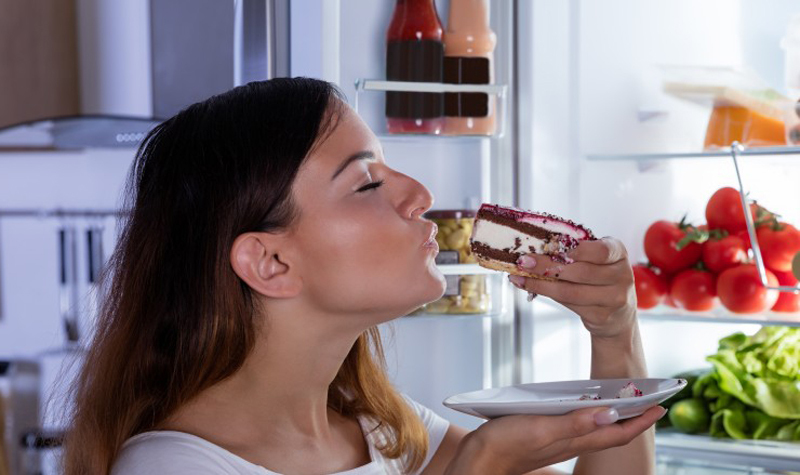 And as it turns out, there are some things many of us do every day that could actually be sabotaging our faces. 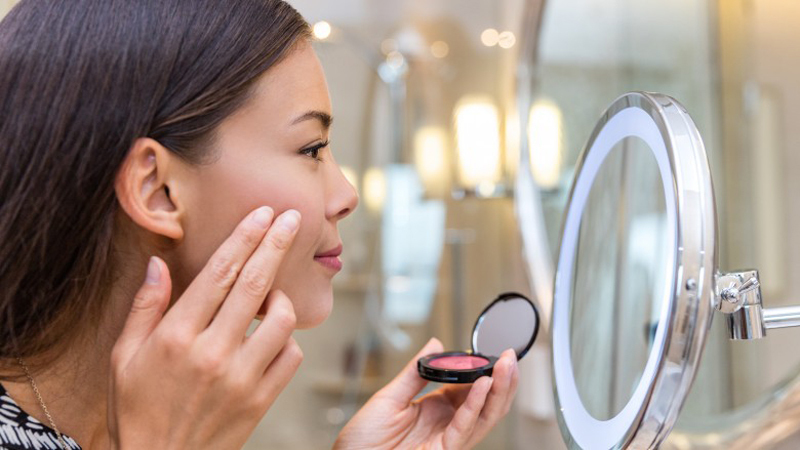 Here are several common skin care mistakes that make you look older. I'll admit that when I was in college, I was notorious for coming home after a late night out and jumping into bed with a face full of makeup. Not only did this result in my constant need to do laundry (mascara, meet my white pillowcase), but it made removing my dry, caked-on makeup a total nightmare. It was also a terrible way to treat my skin. "Whether you are a religious make up wearer or not, washing your face twice daily is imperative for healthy skin," licensed esthetician Michaela Bailey of Refresh at Mosaic Hair Studio in Orlando, FL, told me via email. "Sweat, makeup, pollutants in the air, and bacteria from our hands are all sitting on our skin and need to be cleansed off daily." Joy Chen, CEO of H20 Beauty, says that even if we don't wear makeup, we're constantly exposed to pollutants that can damage our skin. "Air pollution is widespread — it's not just confined to urban areas. Plus, pollution particles are 20 times smaller than pores, which means our skin easily absorbs these toxins," she told me. "Though you may not notice it immediately, leaving your skin unprotected and exposed to pollution takes an even greater toll over time — it's one of the main factors contributing to inflammation and visible signs of aging." For many women with oily skin, the thought of lathering up on moisturizer seems counterintuitive. Adding more moisture to already oily skin will only make things worse, won't it? Well, not according to Bailey. "Everyone needs a moisturizer whether you are a dry skin type or extremely oily," she explained to me. "This keeps the skin hydrated throughout the day and will help keep wrinkles and fine lines at bay. Heavier moisturizers can be used at night and lighter moisturizers with SPF 15 or higher can be used during the day." 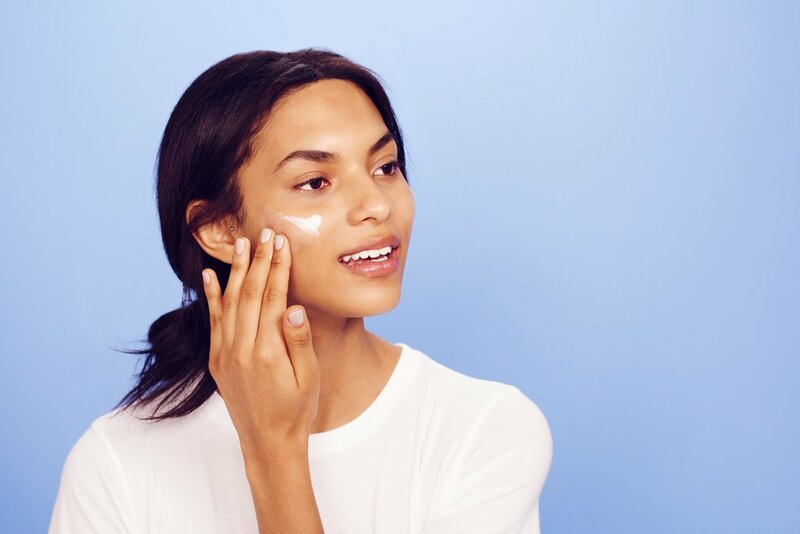 It's easy to remember to apply SPF when we're headed to the beach, but the truth is, we should really be applying it every day before stepping outside. "Sun protection is key to keeping your skin and body healthy," Dr. Ben Johnson, MD, founder of Osmosis Pur Medical Skincare, told me. "The sun is the most powerful energy source, why would you want it beating against the only thing protecting your body?" He added, "Anytime your skin is overexposed to the sun it has to work overtime to try to protect itself which can cause it to weaken and therefore, create sun spots, aging skin, and wrinkles." Hillary Kline, a makeup artist and beauty blogger in Minneapolis, is also a huge proponent of sunscreen. "Being exposed to UVA rays — I cringe at tanning beds — will make your skin age quicker," she told me. 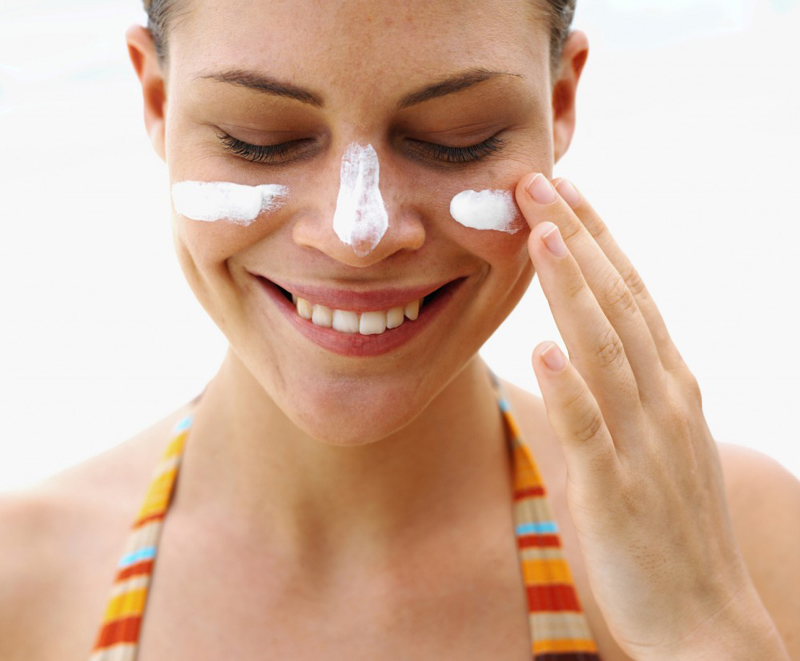 Kline also suggests using a sunscreen or moisturizer with SPF 40 daily. "Not only does it help guard against sun damage, it will also assist in keeping the skin looking younger [and] more youthful." Wearing moisturizer is only one part of keeping our skin hydrated. Another super important practice we often forget about? H20. "Water helps keep our systems running smoothly. This, in turn, keeps the skin properly functioning, as well," said Roberta Perry, founder and president of ScrubzBody Natural Skin Care. 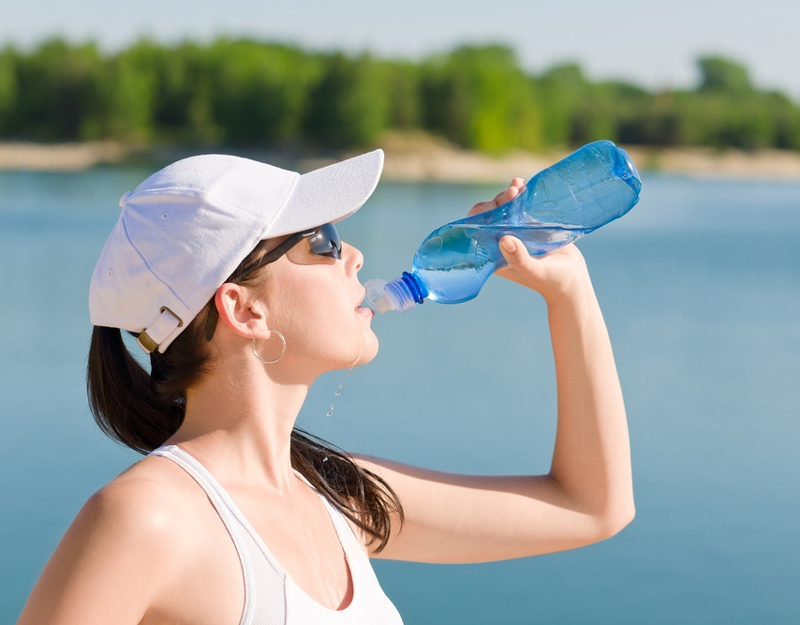 "Whatever your weight, you should be drinking half that amount in ounces of water, daily. It helps flush the body and the skin, and keeps it dewy." Not a huge fan of water? Perry suggests trying decaffeinated tea with lemon. Washing your face is one thing. Exfoliating is a whole other ball game — and, it can make a world of difference when it comes your skin. "Exfoliation is a very important factor for maintaining healthy skin," said Rebecca George, a skin care specialist at Ciel Spa in L.A. "Many people don't realize they are not exfoliating their skin correctly." Kline also noted the importance of exfoliating, telling me, "Some people use the excuse that their skin is too sensitive for exfoliating. I suggest that clients don't skimp on exfoliating once a week and use a higher-end product for this step," She added, "Some scrubs have an uneven texture and can irritate the skin, so be careful. 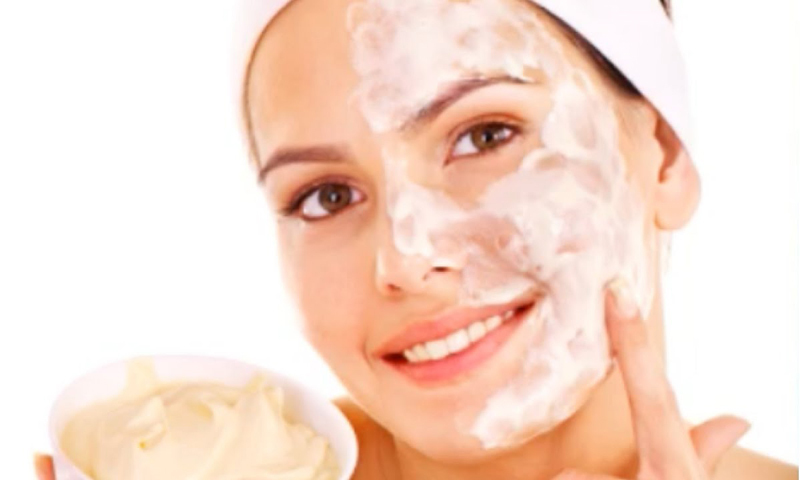 When you get rid of the dead skin cells on your face, you are also working magic in other places — you are softening wrinkles and also brightening the skin." Exfoliating your face, especially when you're using quality skin products, feels oh so good. In fact, when I first got my Clarisonic Mia, I used that baby every single day in the shower. But as the saying goes, too much of a good thing can be bad — and the world of skin care is no different. 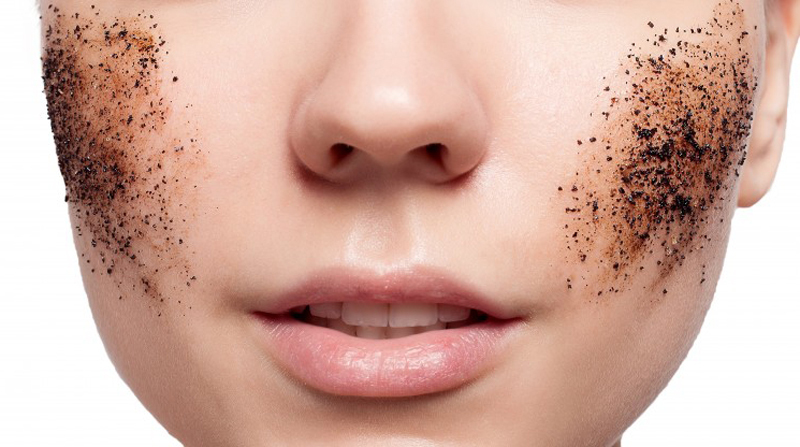 "Over-exfoliating can be very damaging to your skin, causing chronic inflammation, sensitivity, and delicate, very reactive skin," warned George. "When your skin is in a state of heightened sensitivity, it's more susceptible to breakouts, pigmentation, and dryness. It creates a domino effect that in turn leads to premature aging — puffy eyes, wrinkles, dark spots, dullness, and sagging." I have since limited my Clarisonic dates to once a week, and already, I've noticed a big difference. Each one of us is different, so why should we all be using the same exact stuff on our skin? Instead of selecting a skin care product based on cute packaging, attractive price point — or even because your bestie swears by it — make sure you choose products that will work best for your particular skin type. "Dry skin requires lots of moisturizer, serums, exfoliating products to buff off dry patches, and a liquid or cream type of foundation," said Kate Lamon, a professional makeup artist and hair stylist in Austin, TX. "Oily or combination types can rely on more matte, oil-absorbing products to help combat shine and keep an even texture to the skin. This skin type does well with an oil-free moisturizer and powder or water-based foundations." Pearl Dworkin, a licensed esthetician based in San Francisco, also noted that many of us over-cleanse with harsh products. "Harsh cleansers strip our precious lipids. We definitely need to cleanse the skin, but also, not disrupt the skin's barrier function. This sets up the skin for dehydration and inflammation which leads to premature aging." 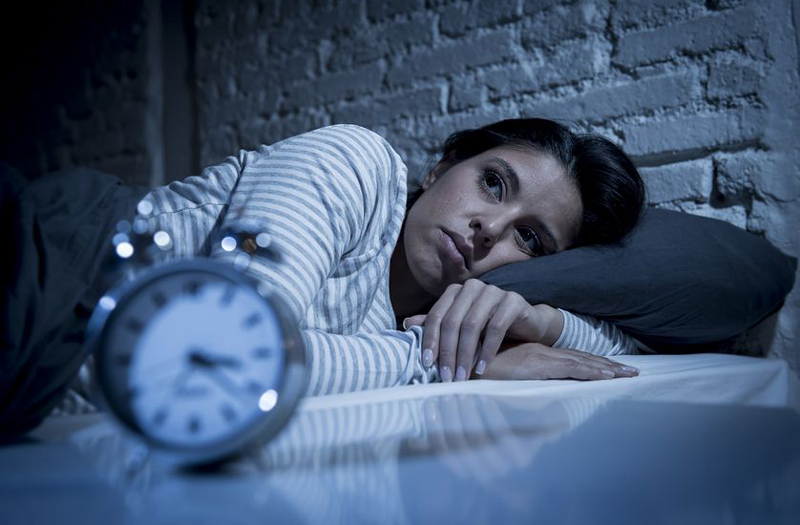 Poor sleeping habits can lead to numerous health issues, including increased belly fat and high blood pressure. And that's not all. Connie Rogers, a certified cosmetologist/esthetician and integrative nutrition coach, explained to me in an email, "Poor sleep is also to blame for premature aging, dermatitis, eczema, acne, lost collagen production, and unbalanced hormones. Aging mistakes can be reversible when we pay attention to proper nutrients that build a healthy gut microbiome, immunity, and balanced hormones," she said. Speaking of a healthy gut, it turns out what we eat makes a major impact on how youthful and radiant our skin looks. "Lifestyle and nutrition are one of the biggest aging factors with the skin," Nancy Reagan, a master esthetician and the founder/CEO of Bella Reina Spa in South Florida, told me. "A diet high in sugar and white carbs causes the skin to appear sallow, with elasticity sagging, and pores appearing larger." Celebrity makeup artist Christina Flach, the face behind Pretty Girl Makeup, also says nutrition is key when it comes to great skin. "Drinking alcohol, diet drinks, and sugar can severely reduce the quality of your appearance no matter what makeup you're wearing," she told me. "If you treat your body well, you will be rewarded with beautiful, healthy skin that will make a great canvas for makeup. Remember that the goal with makeup is to enhance your beauty, not to cover it up." We've all experienced the occasional breakout. 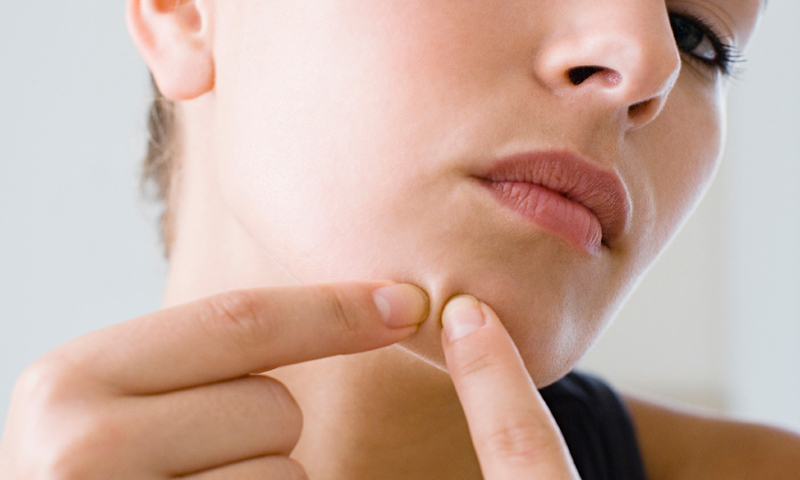 And while a little pimple or two isn't likely to cause any major skin damage, popping those suckers (as tempting as it may be) could be a lot more harmful than you think. "Stop picking at those pesky breakouts and let them come out on their own," said Dr. Johnson. "Anytime you pick or pull at your skin you're causing damage and creating, irritation, scars, and yes even wrinkles!" Instead of picking at your pimples, he recommends using natural products to help eliminate them. Now that we know what skin care blunders to avoid, how can we step up our skin care game? Makeup artist Kline says it starts by establishing a routine. "If you are just a beginner, skincare might be a little overwhelming. There are so many different products to choose from," she told me. "I always suggest starting with a few basics, and then continue to add to it as you become more of a pro. The best few products to start with include: a cleanser, toner, and a moisturizer. Cleanse your skin in the morning and at night. Use a toner twice a day, in the morning and at night. Use a light moisturizer in the morning and a heavy moisturizer at night. If you have acne-prone skin, I suggest getting a topical on-the-spot treatment should flare-ups occur." If you're not sure what type of skin of you have, Bailey says that visiting a dermatologist or esthetician is a great place to start. "Skin care professionals are trained in the care and maintenance of skin," she told me. "Getting your skin deep-cleaned by a professional once a month can leave you feeling much better about the overall appearance of your skin. They can also help educate you about aging of the skin and how to prevent it before it happens." With these tips, your skin will fresh, glowing, and beautiful — no matter how old you are!